Every morning I woke early, with the sun, and sat at that big round kitchen table in front of that grand window. And I pulled out the books. I opened them all with such intention, Bible, dictionary, thesaurus, my then new but already well loved and much highlighted copy of Abbas Child, her well loved, faded and worn copy of Practicing the Presence. And I studied and I prayed and I wrote and I cried and I sat and I watched and I listened. All in an effort to fix… everything. Through my separation and divorce I stayed with them. Oh them, how I treasure them. My Debby, so wise and so… full of more grace than she knows. And my Paul, the man I will forever and always credit with showing me more clearly than anyone else I have ever known- the strength, kindness and devotion that is fathering. They had some extra room and I didn’t want my children’s lives to be completely disrupted and so, instead of having the kids go elsewhere to spend time with their dad, I went to the Tedesco’s and they stayed home. And my mission while I was there was to fix… me and my marriage, my husband and then eventually it became to save the whole entire world. But we’ll save that story for another time. I sat every morning waiting for the self-timed coffee maker to brew enough for me to pour my cup. And I worked on understanding why my life was such a disaster. And sometimes I had very good epiphanies. And many times He spoke to me. And sometimes I rediscovered things I already knew, like John 3:16. And sometimes I just crawled deeper into the darkness that was trying to overtake me. And this poor, wonderful couple did humor me through it all. Waking every morning to find me exuberant, placid, ready to talk, ready to cry, it was anybody’s guess really. But one morning, one very hard morning after very little sleep, (as happens when your marriage is falling apart and you are forced to leave your four children, including your six month old baby with a man you harbor much hatred for), I woke with what I thought was a very good idea. I thought it was a brilliant plan as a matter of fact. I thought it was perfect, maybe even from God. Debby woke up, came into the kitchen, poured herself a cup of coffee and sat across the table. As she took her first sip, before I said “Good morning” even, I said “I just won’t love people anymore.” And I was dead serious and stoic. Do you know what I almost never am, never have been? Dead serious and stoic. I was twenty seven at the time and life had honestly just beaten me down. Not a little, a lot. Not over the past year, over the past twenty seven years. And not loving people anymore seemed like a wonderful remedy for all the pain I had. Not that I had worked out an elaborate plan or anything. It was just a conclusion I had come to. One that many people come to. But I had studied all morning. I had read and written and thought and worked and calculated and it was the only logical conclusion I could come up with. “I’m not going to get hurt like this again. I can’t” She sipped her coffee and leaned forward, elbows on the table and steadied her gaze “There might be people who could do that; you’re not one of them. 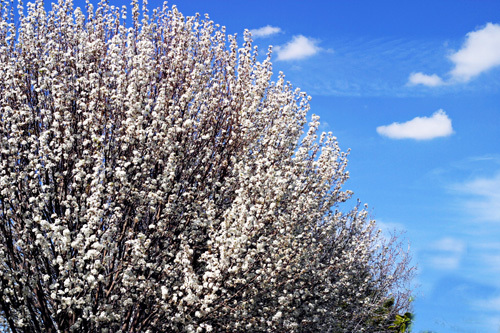 I know you.” I sat back, looked out at the enormous Bradford Pear across the fence in the neighbor’s yard, “Well then I’m just not going to love as much.” Like a ten year old, I tried to argue my way out of it. “You can’t not love big. It’s what you do. It’s who you are.” And without giving pause to the fact that I might have another argument, she got up and went to her room to get ready for her day. And I went outside because on the other side of that window that I spent so many mornings looking out, there was fresh, cool green grass in the shade of that tree I adored. And I spent the rest of the morning, arguing with Him and railing against Him and begging Him and not speaking to Him. And then I spent the afternoon, quiet, listening to birds and breeze and airplanes and the children playing on the other side of the fence. And finally I sat with Him and I listened to Him. And I would not tell you now if I could the sweet, intimate things He spoke to my heart. And when Debby came home at the end of her day she opened the patio door and asked if I was ok. And I was- sprawled out in the grass, a little bit sunburned and totally high on Love. I stayed that way for months it seems, like a school girl in love. I wrote poems and daydreamed and talked all high and giddy about Him. I’m guessing it was kind of sickening for everyone around me, but oh well. It was good for me. And I have at least a hundred other wonderful stories from my time with them and there were many days very similar to this one. So many times I wanted to give up or in and quit. And so many times they, my Debby and Paul wouldn’t let me. And so many times He met me there and pursued me and loved me and showed me. And I don’t know where I’d be now if it weren’t for all of them. So, thanks I guess is what I’m trying to say. And Love and love.